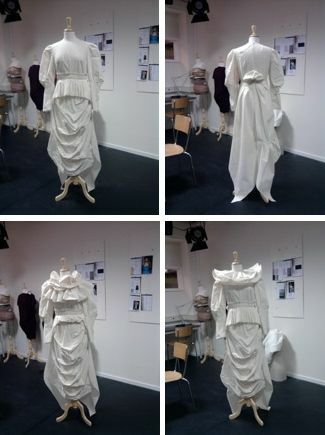 I have made the introduction of the association SKVR where I am following the course of Fashion design. Today I would like to show what we are doing there. We have prepared the drawing of our future clothing. 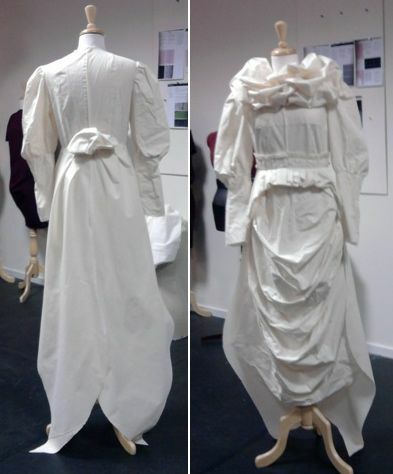 The following step was to make ourselves the pattern and the seams from the simple white cotton. It is already 3 lessons we are busy with this exercise. And finally I have something to show you. 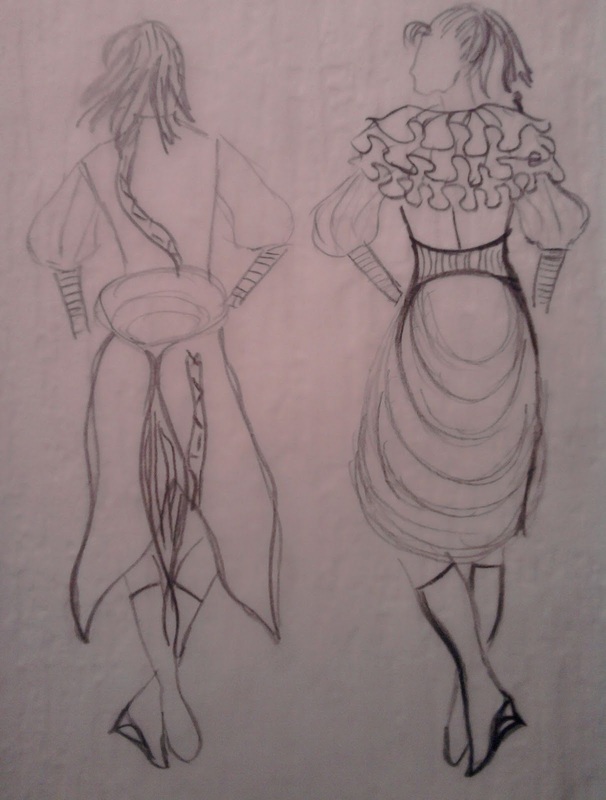 I have to choose the fabric in which I would like to sew this dress. Next week I will go to the fabric store! There is no idea yet of the color and the texture of textile which I will use. There is something to think about this weekend! J'adore!